vacancies for the posts of Line Attendant within the same state. Qualified and skilled job grabbers must apply online by depositing online application on or before dead line. ITI diploma earned job finders should go to the official website of this organization and then follow the steps to submit the form for offered posts. Dear applicants prepare well to pass written exam and other rounds. Before apply you are advised to check skills then proceed further. Complete highlights connected with applying points for TSTRANSCO Recruitment is shown below for the visitors of this portal to help them now. From all deserving applicants are advised to deposit the online filled forms not later then last date after check it properly. All the best from the team members of ejobhub! 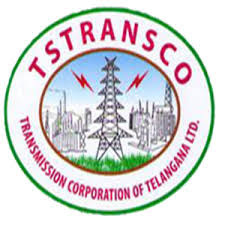 Great chances of new jobs in TSTRANSCO will be available by visiting the official website that is transco.telangana.gov.in. Now you can also get other new public sector jobs using this article. In this below section of post details are also available of eligibility criteria. Salary Scale: Recruited appliers will get salary starting from Rs. 15585 – 305 – 16500 – 445 – 18725 – 580 – 21625 – 715 –25200 per month. Educational Record: Applicants must have completed SSLC/SSC/10th Class with I.T.I. qualification in Electrical Trade/ Wireman or 2 years Intermediate Vocational course in Electrical only from a recognized Institution/Board of combined A.P. / Telangana State Education Department as on the date of notification. Limit of Age: Age of the appliers should not be below 18 years and for upper age limit is 35 years of age. 5 years of upper age relaxation will be given to SC/ST/BC category Candidates and up to 10 years for Physically Handicapped candidates. Application Fee: Eligible appliers will have to Rs. 100/- as application fee through online mode along with Rs. 120/- as examination fee. However, the Applicants belonging to SC/ST/BC Communities and PH are exempted from payment of examination fee. Recruitment Process: Selection of appliers will be made on basis of Written Examination. After reading complete details you need to go “Apply Online” ink.